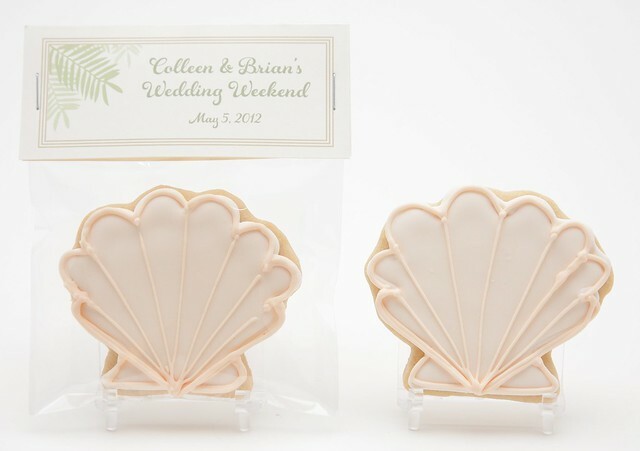 These cookies were for the wedding guest bags / welcome gift bags for the hotel guests of Colleen & Brian Finn's beach wedding in Naples, FL. 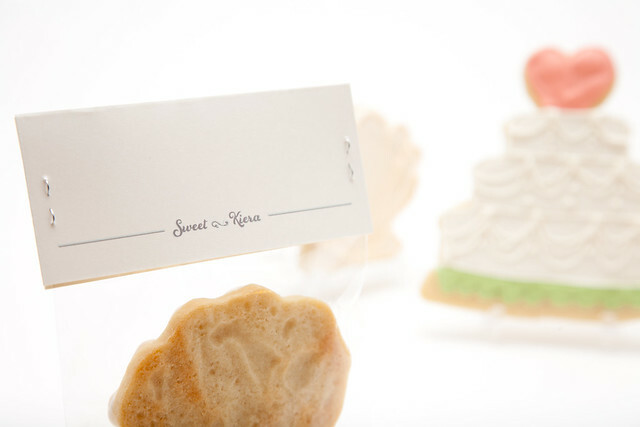 I did the bridal shower cookies for Colleen and I was lucky to be rehired for these wedding favor cookies! 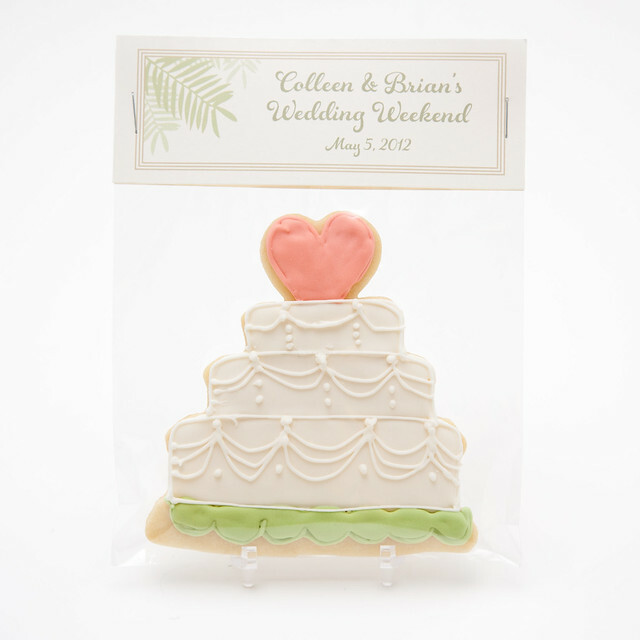 I worked with Colleen, who picked out the pale blush seashell cookies and the wedding cake cookie, but we recolored it for her wedding colors (sage green and pink). 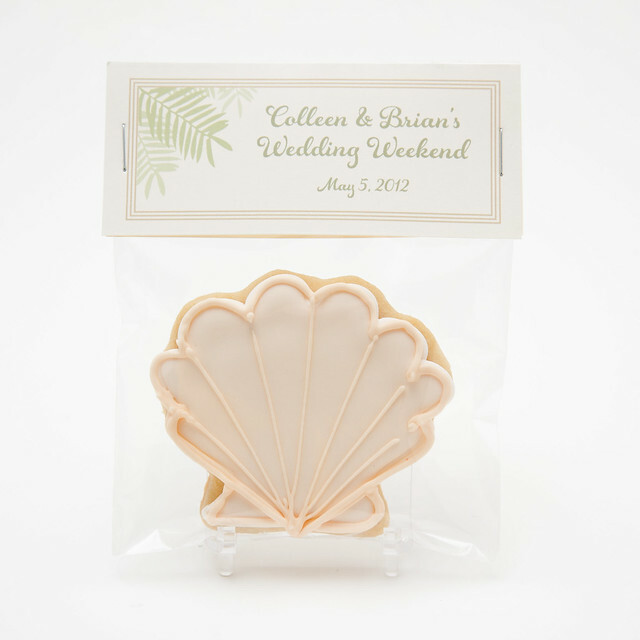 Since this was a beach wedding, Colleen though a palm tree on the tags would be a nice touch. I added some palm fronds in the corner in a sage green to compliment the cookies. Have I ever showed the back of my tags on here? I don't think I have. It's subtle but I needed just a little branding. I have been told by some I should add ".com" but I just want to keep it as low key as possible. I feel like dot com would make me tacky? I dunno. Your thoughts are welcome! 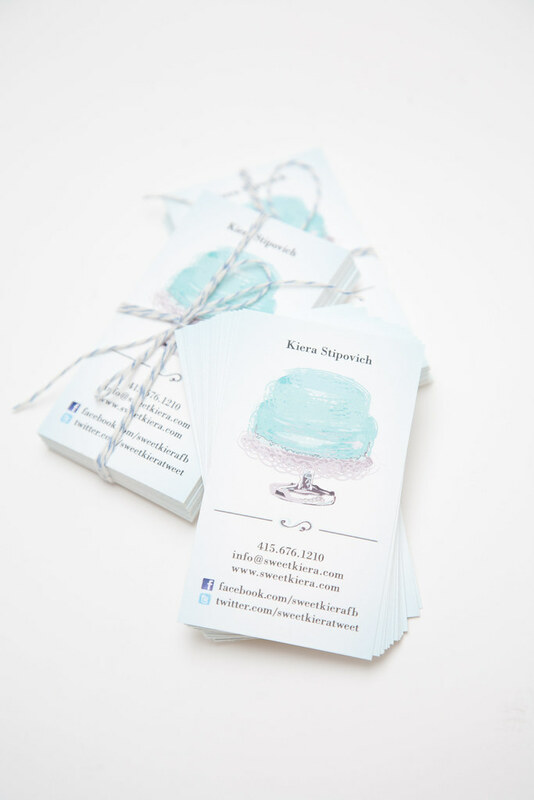 Also, I shamelessly throw in a bundle of business cards with every shipment lately. I wrap them up in baker's twine for cuteness sake. I just figure...why not! I do love my cake logo but I'm feeling like it needs to be a cookie... Or something less specific. My branding is in development, I guess. But if you see a box like this, it's definitely from me! My own fragile stickers on every side of that box. And inside, lots and lots of bubble wrap. I'll try to remember to snap a picture of the packaging another time. That's all for now! 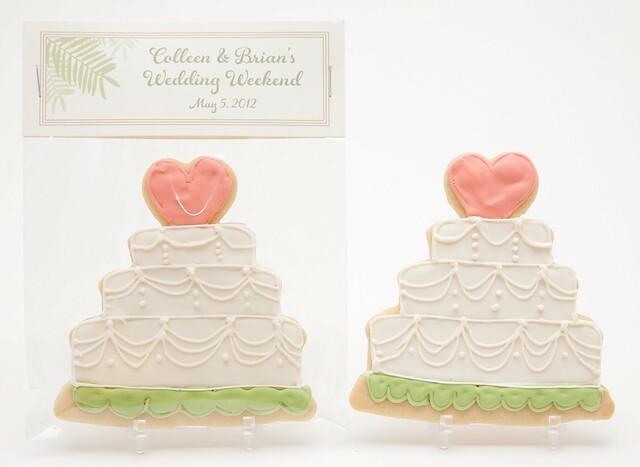 Congrats Colleen and Brian! Hope your day was incredible! Thanks again Fran! !